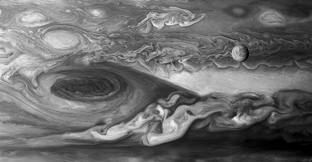 In 2021, NASA plans to launch a 12 year mission to explore the Trojan asteroids of Jupiter. 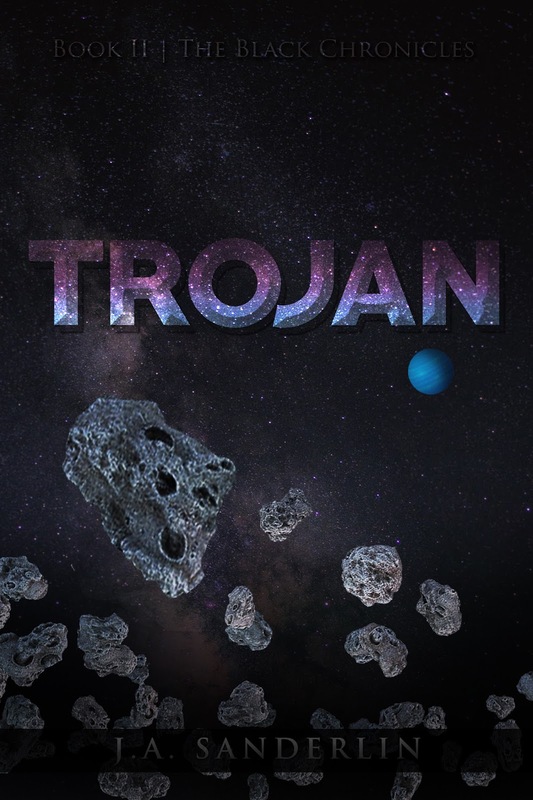 Trojans are asteroids that follow a planet's orbital path in within one of that planet's Lagrange points. Several planets in our solar system are known to have Trojans; Earth has one and Neptune has them. 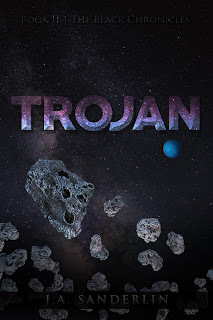 My second book, Trojan, is about the Trojan asteroids of Neptune and their exploration. The second book in the Black Chronicles series was just listed for Amazon Kindle. I am very excited to finally make it available. The decision to publish it electronically and not go with a traditional publisher was difficult; there are many reasons I believe the traditional route is still preferable - and I do not care to get into that at the moment. A couple of reasons I decided to do this were: I have been asked repeatedly over the years when the second book in the series would be available and I do not currently have the time to do any events in an attempt to market paperbacks. My hope in writing this book, like the first, was to bring an adventurous, interesting story that inspires imagination, exploration and the desire to bravely stand for all that is good. I have no delusions my work will ever be held in high esteem as some great work of literature and am not for a moment bothered by the notion. However, if I can entertain while writing - as C.S. Lewis stated, "...the right kinds of books" then someday perhaps I will consider myself a successful author.